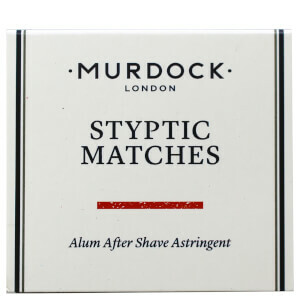 Treat your facial fuzz to the Murdock London Beard Shampoo; a refreshing, pH-balanced formula that thoroughly cleanses without stripping moisture or irritating the skin beneath. 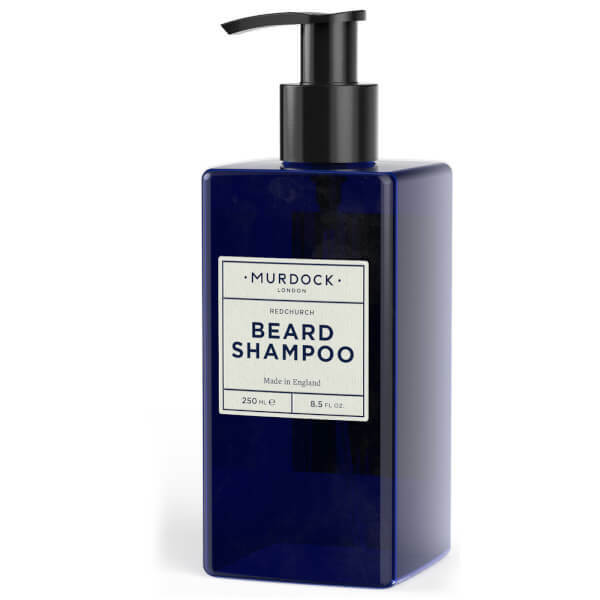 Infused with a cocktail of beneficial ingredients, including Glycerin and Coconut Oil, the shampoo transforms into a rich lather that effectively eliminates daily pollutants and impurities to reveal a soft, healthy-looking beard. 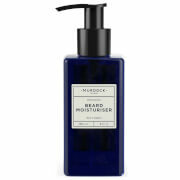 Helps to prevent breakage for facial hair that feels revitalised and well-groomed with natural shine. 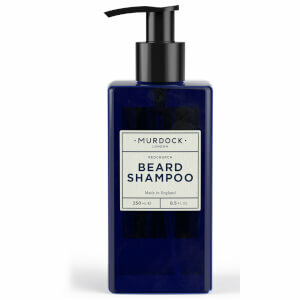 Massage a thumbnail amount into the beard and rinse through with water. 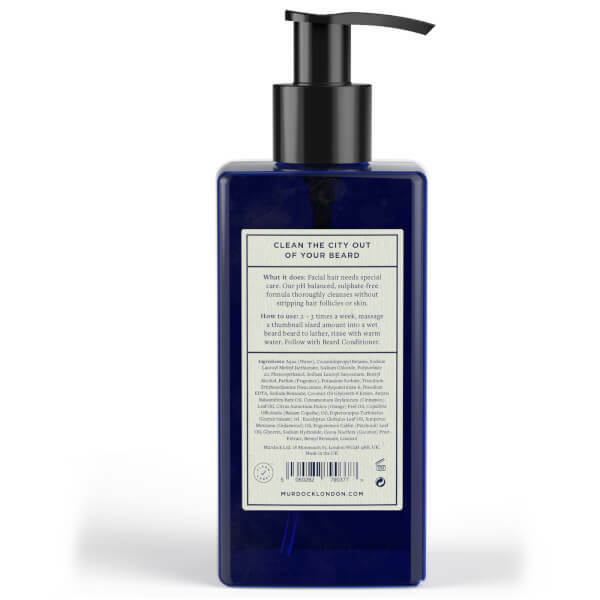 Aqua (Water), Cocamidopropyl Betaine, Sodium Lauroyl Methyl Isethionate, Sodium Chloride, Polysorbate 20, Phenoxyethanol, Sodium Lauroyl Sarcosinate, Benzyl Alcohol, Parfum (Fragrance), Potassium Sorbate, Trisodium Ethylenediamine Disuccinate, Polyquaternium-6, Disodium EDTA, Sodium Benzoate, Coconut Oil Glycereth-8 Esters, Amyris Balsamifera Bark Oil, Cinnamomum Zeylanicum (Cinnamon) Leaf Oil, Citrus Aurantium Dulcis (Orange) Peel Oil, Copaifera Officinalis (Balsam Copaiba) Oil, Dipterocarpus Turbinatus (Gurjun Balsam) Oil, Eucalyptus Globulus Leaf Oil, Juniperus Mexicana (Cedarwood) Oil, Pogostemon Cablin (Patchouli) Leaf Oil, Glycerin, Sodium Hydroxide, Cocos Nucifera (Coconut) Fruit Extract, Benzyl Benzoate, Linalool.